Cape Girardeau, Mo - New Haven will play for third place but what an ending to Class 1 pool play. 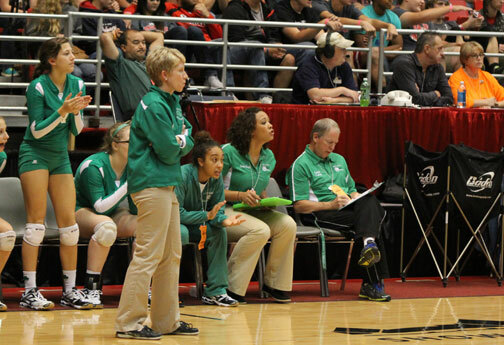 New Haven controlled their own destiny but by splitting sets with Winona, New Haven will play play for third place on Saturday against Santa Fe at 9 a.m. after a (Correction) 2 way tie between New Haven and St. Vincent both 3-3 after pool play. Because St. Vincent beat New Haven head to head, that breaks the tie, leaving New Haven seeded third and St. Vincent 2nd. What a crazy ending. We will have all broadcasts available to watch later this evening. Game time set for 9 a.m. vs Santa Fe.